Rent Waters Edge | Corporate Events | Wedding Locations, Event Spaces and Party Venues. Welcome to Martell’s Waters edge, New Jersey’s premier venue for weddings, special occasions, casual first class dining and some of the best nightlife our area has to offer! Arrive by boat or on foot to see the amazing view. Hear the sounds of the sea and our live entertainment. Be touched by our welcoming staff and family-friendly crowd. Smell the aroma and taste our gourmet cuisine. Start your celebration with a wedding ceremony in our private waterfront garden. Join your guests for an all-inclusive reception in the main dining room. Our one-wedding approach ensures that our bride and groom get the special attention they deserve. Our waterfront banquet facility is the perfect setting for birthdays, showers, bar and batmitvahs, corporate events, christenings or fundraisers. Waters Edge can accommodate a party of any size, including partitioning to make your event more intimate. Your waterfront wedding can come true at the new Martell’s Martell’s Waters Edge. 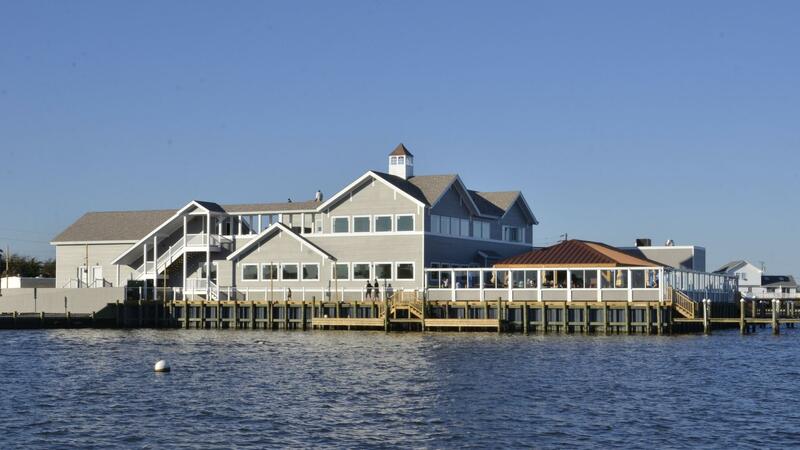 Spectacular panoramic views of the majestic Barnegat Bay are available from every seat of our newly constructed venue that can welcome a wedding of any size. Start your celebration with a wedding ceremony in our private waterfront garden, followed by personal photographs on our waterside pier, and cocktail hour in our Angel Room featuring our expansive aquarium. Join your guests for an all-inclusive reception in the main dining room – the understated elegance of the decor pairs with the exquisite cuisine of Chef James Thumhart to offer the ultimate waterside wedding experience. Martell’s Waters Edge vows to add your personal touch to make your reception distinctive. Gather together and make your event memorable! Brunch, plated dinner, or buffet dinner special occasions are our specialty. Our waterfront banquet facility is the perfect setting for birthdays, showers, bar and batmitvahs, corporate events, christenings or fundraisers. Use the beauty of the bay as your back drop by hosting your event in our main reception hall. Martell’s Waters Edge can accommodate a party of any size, including partitioning to make your event more intimate. If you are yearning for flavor, work with our event specialist and our chef, James Thumhart, to personalize your event with a meal that is prepared with the freshest ingredients that your guests will not forget. To add to the ambiance, our staff will meld polite and professional service with a bit of music.